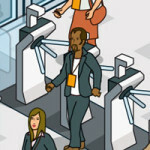 Securing the efficient organisation of events and conferences. Cashless transactions for food, refreshments and Internet access. On-the-spot printing of entry cards for delegates, exhibitors and contractors. Verification and authentication of delegates, exhibitors, contractors and VIPs. Sharing delegates' or exhibitors' information held on cards via electronic communication. 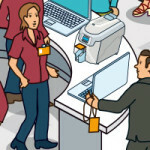 ID cards for all event attendees can be personalised and issued at the point of entry using desktop ID card printers, smart cards and badging software. 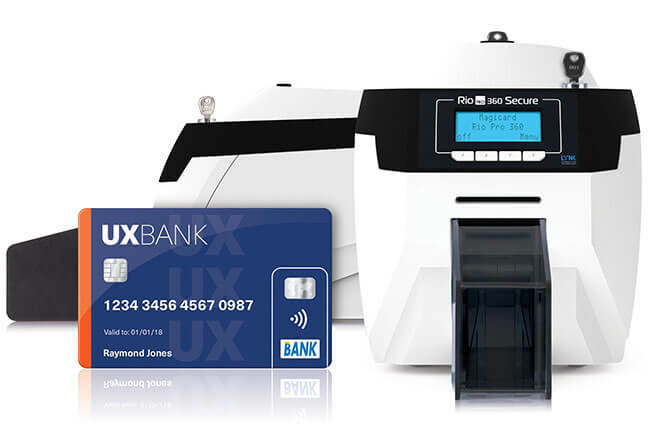 Data encoded on to an electronic chip on the card can be used to grant access via turnstiles or card readers located within the event. Access to specific areas, such as VIP lounges, or selected conferences can also be allocated at the point of issuance. Learn more about Physical Access cards. Delegates, exhibitors and contractors can be issued with a visual identifier in the form of an ID card so they can be quickly and easily authenticated for access to the event, at given times or to locations within the event that are available to them. Clearly identifiable, personalised cards can be issued on the spot using desktop ID card printers and easy to use badging software. To prevent fraudulent entry, added visual security, such as a HoloKote watermark, can be written to every card printed. Learn more about Photo ID cards. Smart cards can contain specific data about event attendees. Useful information such as contact details, job role and areas of specific interest can all be written to the card’s chip at the point of issuance. This information can be read by organisers or exhibitors to determine the most appropriate people to talk with and to ensure contact at the event can be followed up easily afterwards. Electronic communication between cards can also be a useful networking tool, helping to bring together people with common interests. Learn more about Data cards. 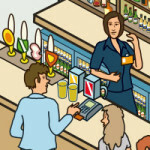 Event cards can be programmed with a payment application that enables quick contactless payment for food, drink and other event services, such as Internet access. Delegates could pre-load their cards at the point of entry or VIPs/exhibitors may have some payment tokens already granted by the organisers. Enclosed, event-only payment systems are becoming increasingly popular for large-scale events such as music and sports festivals. Lean more about Payment Cards.